I came to the hotel with food poisoning. They allowed me to do a very early check in and were very helpful and acomodating at all times. Pool wasn't inviting. Breakfast was simple. Everything else was fine. Our stay was pretty good. We had a triple room with a large tub. 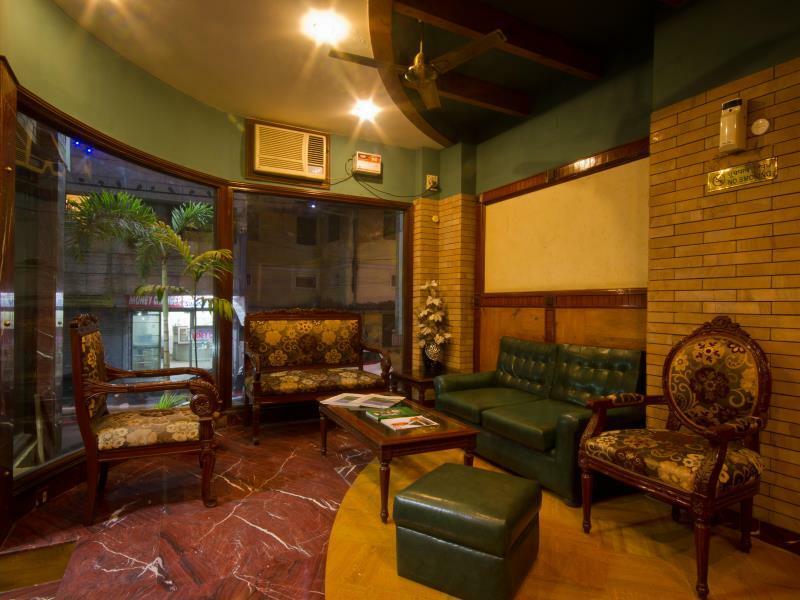 We were a 7 minute walk from a nice strip pf restaurants and 20 minute walk from the Karol Bagh market. The hotel staff were very helpful and eager to help us arrange tours, hire cars or anything else we needed. 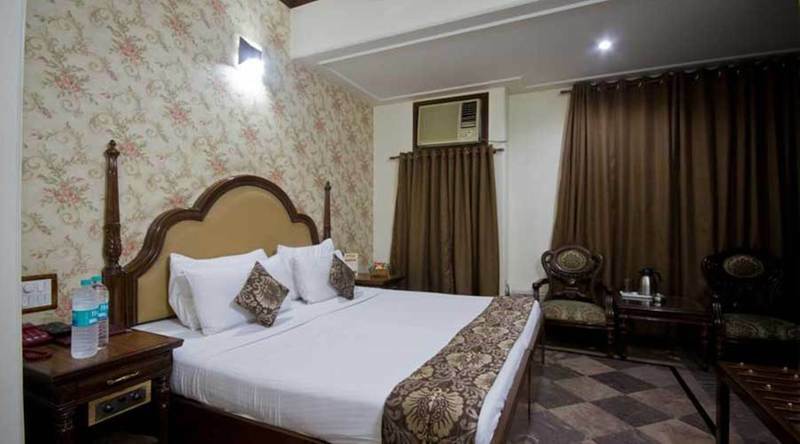 We stayed at Sunstar Grand on our previous visit to Delhi a couple of years ago, and were happy with it then, so booked again for this trip (Jan 2016). The hotel is lovely. Our room (and the hotel) was tastefully decorated. 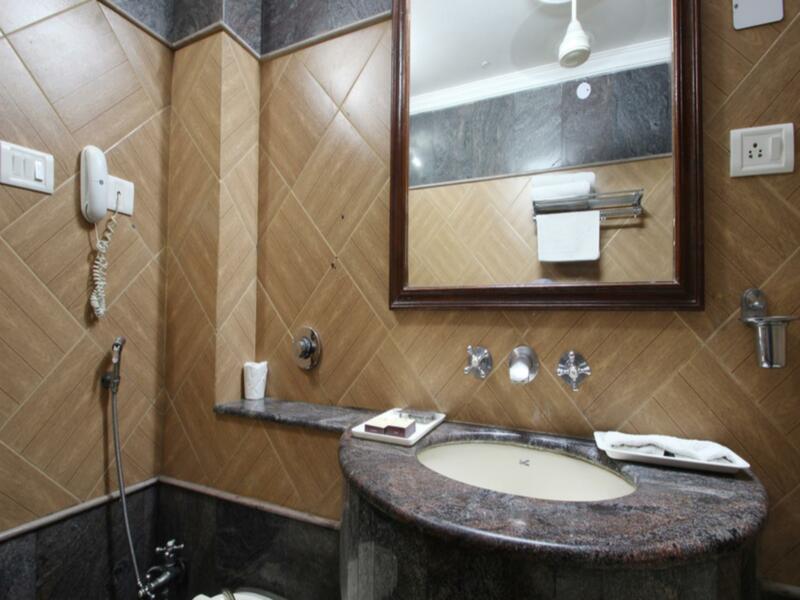 We had a lovely clean bathroom that was supplied with clean, fluffy towels, and a bathmat, with plenty of hot water. We appreciated having a kettle and tea-making supplies to make our own late-night or early-morning cupper. The staff were very friendly and helpful, organising our taxi to the airport. It was great value for money, with breakfast included. We were more than happy with our stay at Sunstar Grand, and would certainly recommend it. First night, room was ill equipped with shower broken, no hangers, no heater, no dryer. Management changed the room on 2nd night which is better. However, room is noisy from kitchen staff(first room) and car noises (2nd room). Hotel price included pickup at the airport but driver was not there, had to call hotel multiple times and wait for an hour. Drop off at airport cost 800 rupies, which is highly excessive (subway is approx 120 rupies and taxi should be less than 300 rupies). 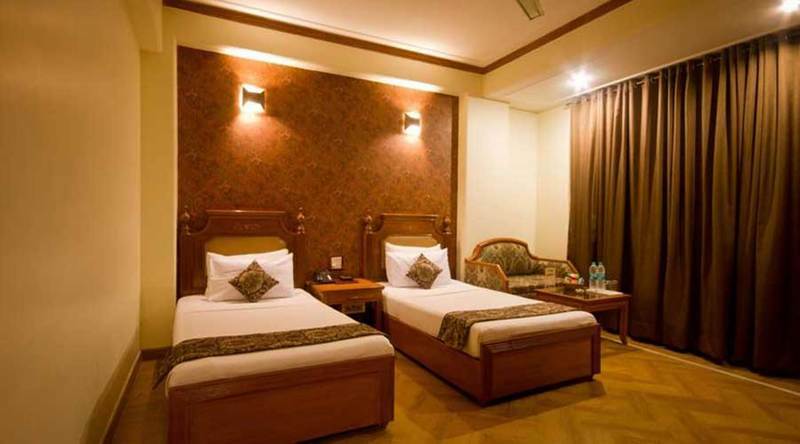 Hotel is overrated and there are newer and better hotels nearby. Good hotel. Front desk organised a day tour of city monuments for me without any hassle. Rooftop restaurant had pretty good food. Only downside was reception staff calling the room 7+ times a day to see if I had eaten or needed something, which is good, but also a little frustrating! Good hotel. We stayed there for one night. The manager Sanjay was most helpful and nothing was too much trouble for him, He recommended a restaurant which was about 700 meters away on our first night there and even sent one of his staff to walk us there to make sure we did not get lost. I had a pair of jeans that needed a new zipper and he kindly sent it out to the tailors for me to have fixed. The rooms whilst not large, were comfortable however the street noise made it impossible to sleep in. The hot water system was not the best, lukewarm at best and the rooftop dining can be improved with a bit of a tidy up and clean tablecloths but the level of service we received far outweighed these minor issues. There were roaches in the room which also had a funny odor; I asked for a plug in air freshener. The stay was for 2 nights. The second day no one cleaned the room, made the bed, or replaced the towels and bottled water (which costs R 25). This is definitely not a 3 star hotel. 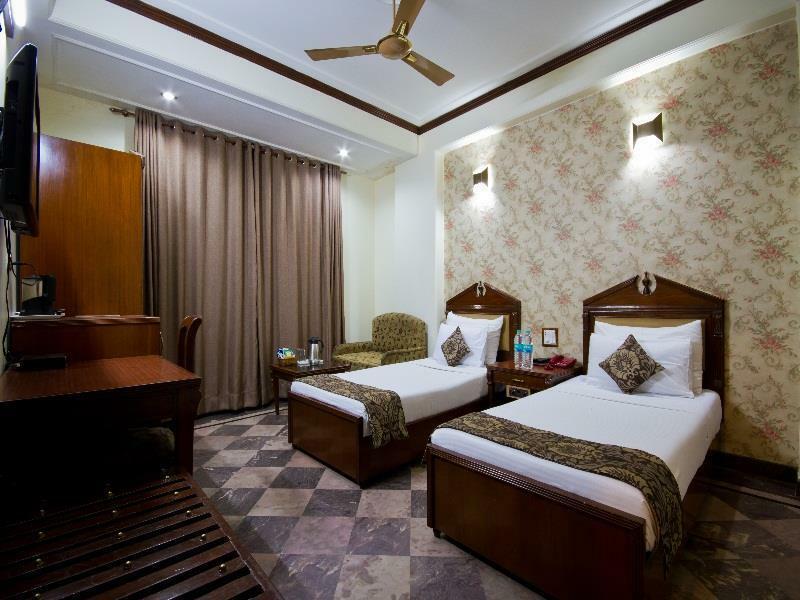 This small hotel in the Karol Bagh area of New Delhi offers clean rooms, a very attentive and accommodating staff. I particularly enjoyed the free Wi-Fi and internet service and the very large number of international channels on the cable t.v. Simple, but adequate breakfast buffet. 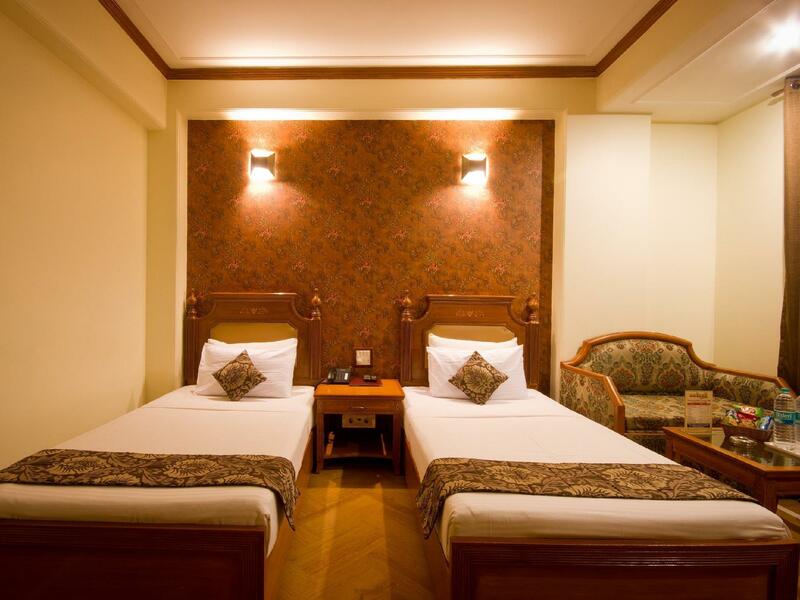 A convenient location near a metro station and plenty of tuk-tuk drivers available for short hops. Great staff. Near by Karol Baug Market. 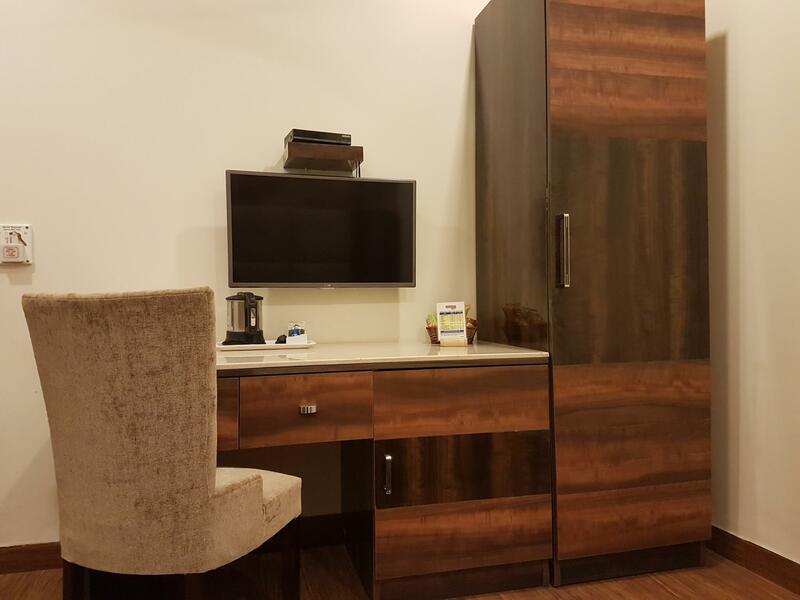 i enjoyed my stay at this Hotel & i like the most is easy accessibility to any Market. Warm water at all times, large tub for a bath or shower. We were very disappointed the advertized swimming pool, sauna and steam bath does not operate in 'winter', the time most tourists visit I would think, and the reason we booked this particular hotel. We also found the front desk overcharges for booking site seeing trips, taxis and motorized rickshaws. E.g a taxi to the airport was quoted at Rp695, while an AC taxi from a hotel close by charged Rp550, with pickup at our hotel. Even bottled water was charged (most hotels provide one or two bottles of water a day for free). So was the use of a lobby phone for local calls (not explained when I asked if I could use it). WiFi didn't work all 3 days we were there, internet in the lobby had a charge (OK, no problem). It's not the relatively small amounts of money, but any service seemed to have a price to it. Per previous arrangements we arrived at 2:00 AM. The hotel was locked and 3 personnel were sleeping in the lobby when we finally woke them up. Arrangements to get a taxi back to the airport that afternoon were overpriced, from the prepaid taxi booth at the airport. Later we found out it cost from a hotel nearby. Advertized swimming pool, sauna and steamroom does not operate in their winter,when all the tourist come! Neither did the wifi. Very badly maintained. Wall paepr peeling off. Must pay for Wi fi but will not give bill. I think staff are just taking the money. The staff were really nice though and the brakfast was great. สถานีรถไฟใต้ดิน Karol Bagh - ระยะ 0.51 กม.